Tim Hortons has teamed up with SpongeTowels for a special offer. 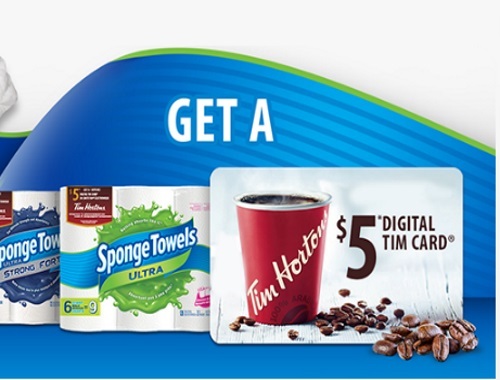 Get a Free $5 digital Tim Card when you purchase 2 specially marked packages of SpongeTowels Ultra or Ultra Strong. Purchase must be made in a single transaction between September 16-November 16, 2016. Requests must be received by November 30, 2016.